What is so special about this combination of camps, is that they are small and intimate. Elephant Camp is located just outside of Victoria Falls in Zimbabwe, so you are away from the hustle and bustle of town, but still close enough to visit the Falls and do other activities in the area. Machaba and Gomoti are both owner run lodges and provide a relaxed and homely atmosphere which will leave you feeling like you are a part of the family at the end of your stay. Arrive at Victoria Falls Airport where you will be met and transferred to Elephant Camp. This delightful Camp will be your home for 2 nights. 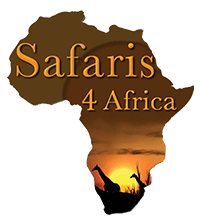 Elephant Camp is situated in a private concession and 10 minutes by road to Victoria Falls. This is perfectly positioned away from the hustle and bustle of town, but close enough to enjoy the activities on offer and of course to visit the magnificent Victoria Falls. 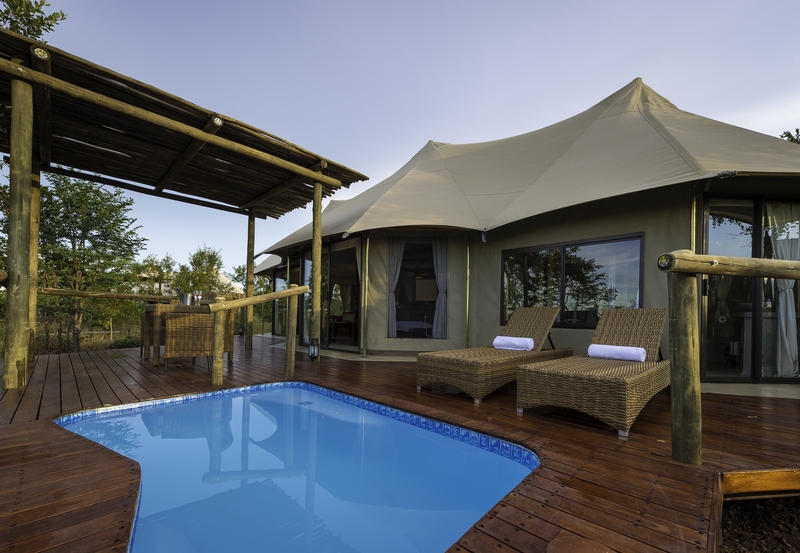 Elephant Camp comprises of 12 tented units, all en-suite with an outside shower and a plunge pool. The rate includes all your meals, local branded drinks and two trips into Victoria Falls town daily. You will be transferred by road to Kasane Airport in Botswana. From here you will enjoy the air transfer to Machaba Camp. 3 Nights at Machaba Camp. Machaba is situated in the Khwai area. 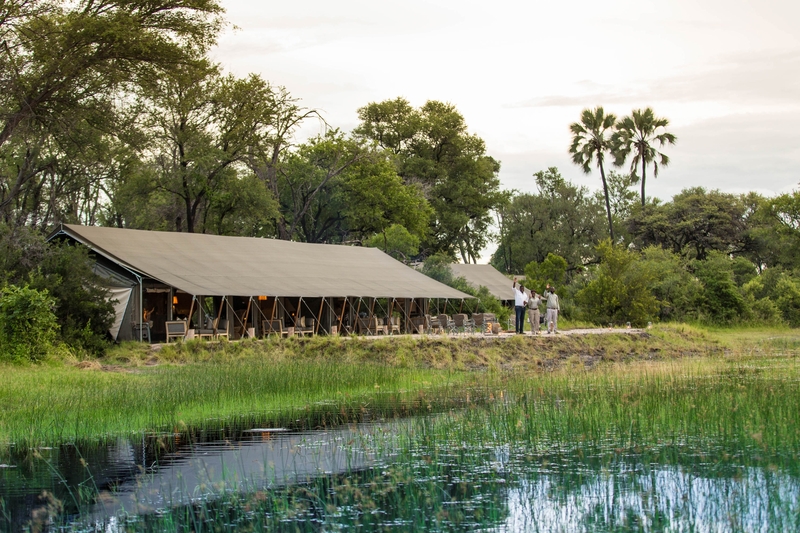 The camps are independently owned and run and this is camp offers you luxury safari tents, with en-suite bathrooms and living area and a romantic outdoor shower. 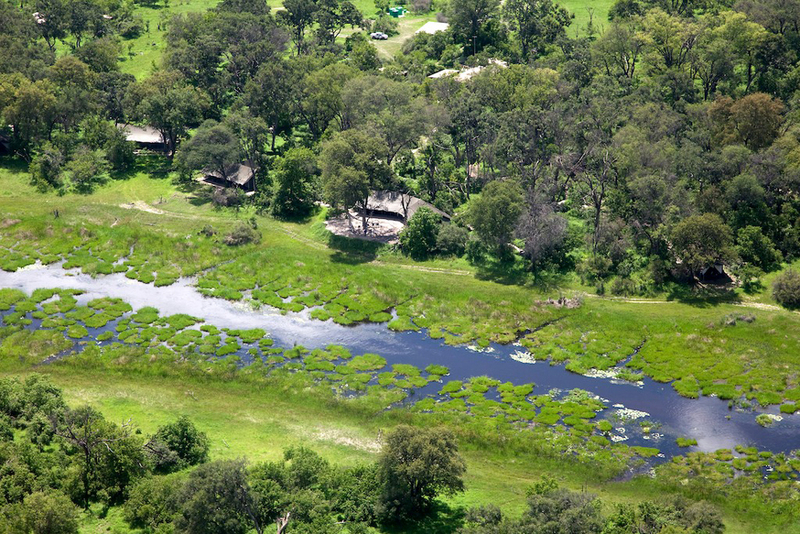 All the tents are situated in the beautiful riverine tree line on the Khwai River, overlooking the famous Moremi Game Reserve. 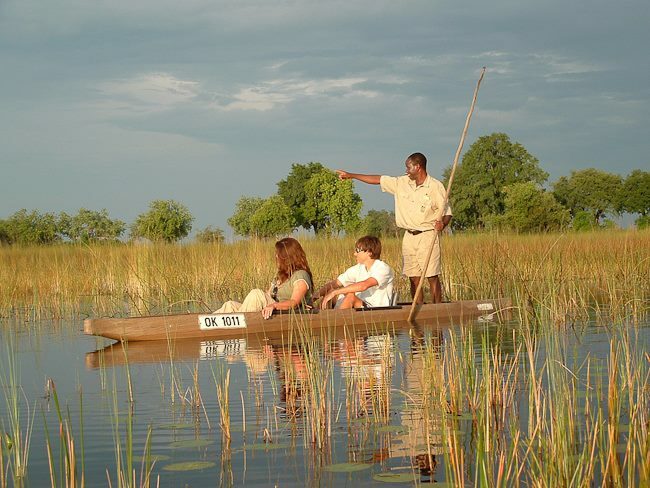 At Machaba you can do a variety of activities, from Mokoro trips, where you can explore the shallower waters of the Okavango or guided walks and game drives – either early morning, afternoon or evening game drives are on offer in this prolific wildlife area. You will be air transferred to your next camp Gomoti Plains, which is the sister camp to Machaba. 2 Nights at Gomoti Plains. This camp is a similar style to Machaba. 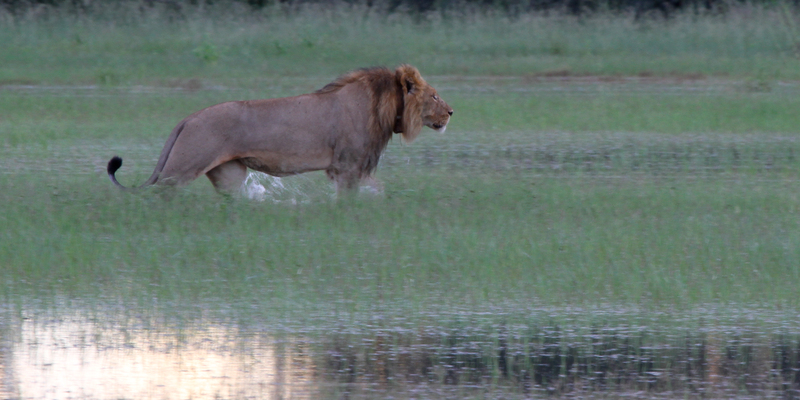 This area is known for its large concentrations of wildlife which thrive on the Gomoti Plains and waterways. Gomoti is locally known as the water fig which grows alongside waterways in the Okavango Delta. The Gomoti tree is an excellent cover for nesting water birds, such as herons and storks. The Camp is situated along the Gomoti River system. Bid farewell to Gomoti Plain and you will be air transferred to Maun Airport to connect with your outward flight.